Whenever I begin thinking and writing about issues relating to what we conceive of as reality, I always know that I’m going to catch “push-back”, and yet in theology, cosmology, and philosophy I do not think there is a more important topic. The issue of what constitutes reality is, at its core, an issue about power. Whoever can define reality therefore has control over it. We instinctually know that we have to “define” reality, whether we admit it or not. All of human existence can be understood as attempts to define reality. When ministers (especially those of liberal faith) begin talking about “meaning making”, we are talking about defining reality… it is our trade. When scientists, historians and others defend objectivity, they are defending their chosen attempt to define reality, and the power that grants them. When adherents to a faith insist on the literal interpretation of scripture, they are defending the power that comes to them as more adopt their definition of reality. We define reality when we decide that the significant other who just left us “must have been crazy”. We define reality when we choose to put our faith in this politician or that. We define reality for ourselves when we decide that this person is trustworthy and this one is not. Every activity of our lives is in some way an act of defining reality… making meaning in a world that is too vast for inherent clarity. We don’t like to think about meaning making or defining reality as activities of power, but they always are. When you make a decision about how you understand the world around you, you are taking power for yourself. When you make a decision about reality that affects how others behave in the world (say, that 5 minutes early is actually “on-time”, and arriving on the clock is actually “late), you are attempting to use your definition of reality to gain power over others. When you demand that others share your vision of reality, then you are treading on the ground of fundamentalism. Such exercises of power through control of the definition of reality is neither inherently positive or negative. I am very aware that this whole article is an exercise in power through attempting to define reality. I am sharing my view of reality that human beings are incapable of even approaching a full understanding of reality. 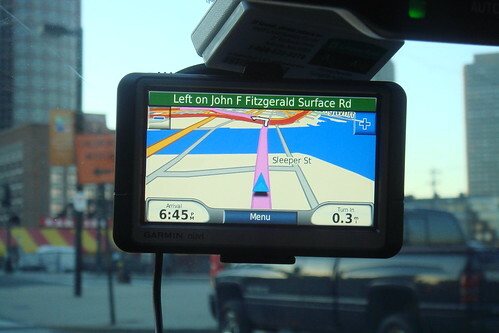 I am sharing my view that because of this, we create “realities” of our own… maps and models that allow us to navigate our lives because we can not perceive of the whole, much as the GPS navigator in my car does for me. And like all ministers (and other humans) I share this view as an exercise of power because I believe that if more people saw things as I do, it might be a better world. As a colleague once said, to be a minister is to be a “Doctor of Meaning Making”, no matter the denomination. Part of that better world for me is for us to let go of some of our most cherished delusions, and for us to bring the subtle interplays of power that exists throughout all of human existence out of the shadows. If your path to meaning is to seek objectivity, wonderful… but do so recognizing that it is impossible for any human to ever be truly objective, and that even the most objective can never fully define a vast reality. If your path to meaning is through a deep or a literal interpretation of a religious faith, wonderful! Yet do so realizing that even in depth there is a limit to the breadth of the world you understand, and even in the most literal interpretation there is an entire universe left out. If your path is one that seeks to experience a world you accept you can never fully understand (or in my case even scratch the surface), then wonderful! But allow others to find their own paths to the making of meaning, and avoid the cynical attitude that has pervaded much of those traveling on the post-modernist highway. However you find meaning, and however you seek to exercise the power that inherently comes with meaning making and the defining of reality, all I ask is the realization that if we put together every attempt of every human who has ever lived to define the reality that is all around us, we would still have understood and uncovered only the smallest fraction of “Einstein’s Library”.